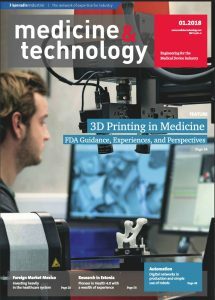 medicine&technology reveals the most interesting aspects of the medical equipment and technology industry. What is happening on the technology and research fronts? What do doctors expect from new products? Which international markets offer the prospects of interesting sales and what new guidelines need to be taken into account? Questions like these are answered by the new magazine medicine&technology. It does so by drawing on the full range of journalism, from product reports to specialist articles and interviews right up to extensively researched headline themes. 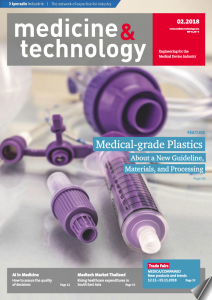 It is a concept that means this trade magazine has its finger on the pulse of the booming medical technology industry. 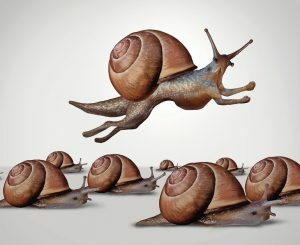 Anyone planning to launch new products needs practical engineering knowledge about materials, machines and automation, as well as sources of inspiration for innovations that are still no more than research findings. Our magazine offers all of these to the directors of development, design and production departments as well as the managing directors of medical technology and equipment companies. In short, it provides them with a unique overview of current trends in the industry.